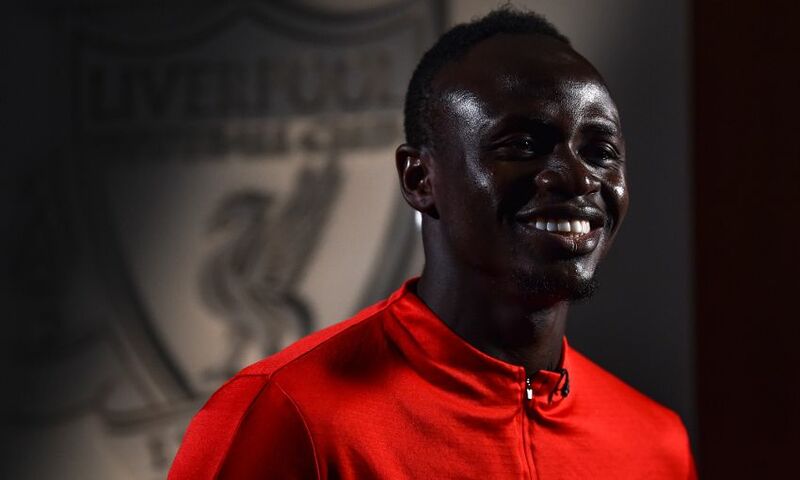 Sadio Mane has described joining Liverpool back in 2016 as 'the best decision of my career' - and outlined why that meant recommitting to the club was an easy choice for him to make. The Reds announced the forward has agreed terms on a new long-term deal on Thursday night, meaning he’ll spend the forthcoming seasons at Anfield. Since joining from Southampton, Mane has scored 40 goals in just 89 appearances for Jürgen Klopp’s side and established himself as a key component in one of world football’s most fearsome attacking triumvirates alongside Roberto Firmino and Mohamed Salah. As the news broke about his fresh terms with Liverpool, Mane sat down with Liverpoolfc.com to discuss the development in an exclusive interview. You can watch it in full, or scroll down to read a full transcript. Not yet signed up? For a limited time only, get 12 months’ access to LFCTV GO for half-price. Visit video.liverpoolfc.com and use the code GORW2018. Congratulations on agreeing a new long-term deal with the club. How are you feeling right now? I am very happy, very happy to extend my time at Liverpool. It is a great day for me and now I am looking forward to everything - to helping the team, to helping the club achieve our dreams and, especially, to win trophies. Can we assume that it was an easy decision for you to extend your time here? Yes, for me it was very easy. It was a little bit long but it was easy in my mind and I knew I would sign. After discussions we finally agreed and I am very happy and now looking forward. Fans have been really keen to see you agree a fresh deal with Liverpool, which is a sign of just how much they value you. What does that mean to you? It means very big things for me because of the love they give to me. Honestly, I appreciate it. I have been here for three years and every single day I only try to do everything for them because all of them, they are behind us. They always push us and give everything for us. Of course, I could see a little bit on the social media [about when I would sign], but in my mind it was an easy decision for me to sign and stay with them, to give everything for them to help achieve our dreams. Yeah and that is great for me. It is something special for me and I cannot describe how happy I am when I hear it and all the support they give me every single day. So much of your time here has been positive, right from scoring a stunning goal on your debut. Has this always felt like the place you should be? I’ve always said, when I knew I had a chance to come here I didn’t have to think twice. The right club in the right moment and with the right coach as well. I came here and was very happy. For me, I have made the best decision in my career. When you’re around here at Melwood, we rarely see you without a smile on your face. How important are the staff here who work at the club? I think I can say all of the people who work here are part of a family. I am here for a few years and they are very, very, very nice to me and everyone. They are good people and I am just happy to be here. How are you different now to the player who signed for Liverpool back in 2016? I was 24 I think and now I am 26, soon turning 27 - getting old, but that’s life! But that’s why we always keep learning every single day in training. In life in general as well, it is important to grow up every single day. I think I have been learning a lot from my teammates and the staff. What does the faith the club put in you to offer you this new long-term deal mean? It means they believe in me and that is a big thing for me. I know it, for sure, and that’s why I will also be here and try to do everything for the club to win trophies. 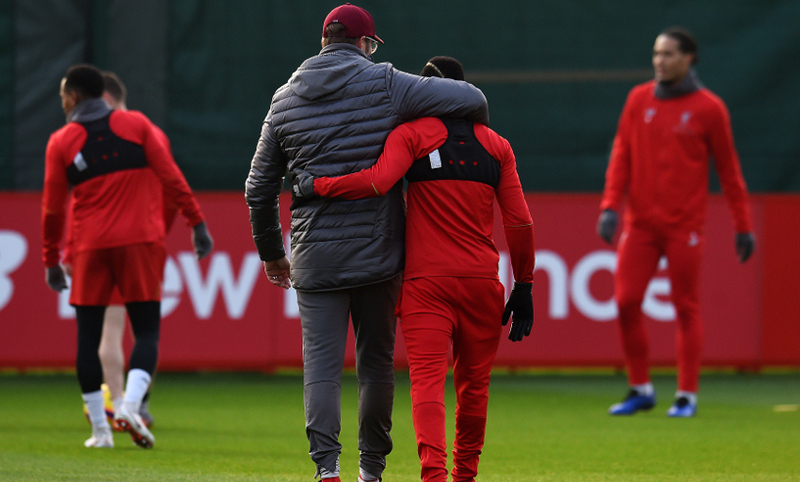 You mentioned before about comments on social media about your future and things like that; now your contract is agreed and you are a Liverpool player for the long-term, is it important for you that you won’t have to answer questions about it anymore? I think now everybody is relaxed. Of course, it is normal from outside, all the fans, to worry about because they wanted me to stay - and, of course, I also want to stay here. Now it is done, so everyone is relaxed and happy. You spoke earlier about your desire to bring a trophy to Liverpool - are you confident you can fulfil that? Of course I am confident. We have everything here; the team, the staff, the club is doing a great job to bring in new players and they have great qualities. We have a strong squad and we have everything to win. But it’s not about talking - we have to do the job. We’ve started well this season and we are working hard every single day at the training ground to get better and better. Without making ourselves pressure because it is too early to speak about trophies and stuff, but everybody knows we have to [win trophies] - and now we are going to try to give everything to win something. I have a good relationship! Everybody knows the coach is someone who loves his players, is a good person and everyone loves him at the club and [among] the players. I can’t describe our relationship because it is just a great relationship and that’s it. He recently said you’re a world-class player but you just needed to believe that. Do you feel you have that self-belief now? This is a big compliment from him and I appreciate it! As a player, like I always say, I am here for the team. I am here to improve every single day and to try to be a great player for the club and my teammates. In terms of making that improvement, with the competition in the squad and so many players fighting for just 11 places in the team, does that help you get better? This is normal because we are Liverpool. We have a lot of competition and it gives us a strong squad. It is important for the team to have this kind of positive competition because we are definitely the same colour [jersey] and it is very good for the fans as well. You mentioned you’re nearly 27, you’ve mentioned you want to improve, so just how much more is there to come from you? I think today I am not a young player, I have experience now and I want to use this to help the team. But still, in football every single day you have to learn and to be as professional as you can, always doing your best for the team to get the rewards in the future for the club. You have followed Roberto and Mo in agreeing a new deal this year - how excited are you by the prospect of working with them for years to come? Those players are great players and, like I have always said, I am very happy to play alongside them. Not only them, to play alongside all of those boys. They are great players and I am very happy now we are here for the long-term. Hopefully we are all going to stay together and do something to win something. 91 goals between you last season, 19 so far this season. Can you get even better as a trio? Of course, of course! Always in life, and especially in football as well, we always have to do everything to improve. This year we have even improved more, even if we don’t score as many as last season at the moment, but this is normal in the beginning of a season I can say for sure. Hopefully we’re going to do more than last season! It is a long-term contract, so by the end of it what do you hope to have achieved at Liverpool? It is too early to speak about that, but for me what is more important now is the present. To think about the present first - what is going to happen in the future you never know. I am here, a Liverpool player, have a long-term deal and I am here to do everything. What would you say to the Liverpool fans watching this interview? I am more excited than you, for sure! I am looking forward, together, to achieving big, big times at the club.